A report published by eight Human Rights Groups on the incident that took place in Sahn Malen chiefdom, Pujehun district in which two people were reportedly killed and many injured has exonerated Hon. Shiaka Sama, an independent Member of Parliament and other members of Malen Affected Land Owners and Land Users Association” (MALOA), who were arrested and detained. The 11-pager report published by Human Rights Defenders Network, Amnesty International, Green Scenery, Network on the Right to Food, and P.R.O.T.E.C.T Sierra Leone, among others, notes that that there were no corroborating evidence that the conflict that occurred during the protest by ‘poro’ society members had anything to do with Hon. Shaka Sama and MALOA members. “It became clear from the corroborating evidence that the conflict that occurred during the protest by ‘poro’ society members had nothing to do with MALOA members wanting to disrupt the operations of the company as alleged by the Paramount Chief Kebbie. However, the incident was used by local authorities as a pretext for an illegal repression directed at MALOA leaders. The team found no evidence connecting MALOA to the protest neither the initiation,” the report states. 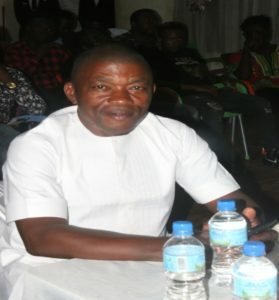 “As of April 2019, SOCFIN claims to hold 18,473 hectares of land in the Malen Chiefdom, of which 12,557 have already been planted with palms. The planted area already exceeds the terms of the Memorandum of Understanding (MoU) signed between SOCFIN and the Government of Sierra Leone in September 2012, fixing cultivated plantation to 12,000 hectares. The project currently affects around 32,842 people in 52 villages,” the report states. The rights group findings suggested that the joint security operations (MACP) raided nine sections in the Sahn Malen Chiefdom, in response to a protest by members of the secret ‘Poro Society’ in Saingama Village and not because of MALOA community members organising illegal initiation. The report says the communities had stated that the initiation had nothing to do with the company and their protest was as a result of a statement uttered by the Resident Minister South (Mohamed Alie) against the ‘poro’ society. “The death of the two civilians according to the military commander and the LUC, occurred as a result of the use of shot gun by the protesters. The team could not confirm this allegation but some of the community members interviewed blamed the killings on the government security forces trying to protect the company,” the report states. However, the report recommended among others that the government set up an independent and credible coroner’s inquest to establish the cause of death of the two deceased, and for SOCFIN to comply with the long-standing request by affected communities and MALOA for a fair, transparent, effective and independent conflict resolution mechanism to review the land lease agreements and find a long-term resolution to the land conflict.